Hello, and welcome back to The Arcane Sanctum. I hope you all have been well in the last few weeks. It seems like summer has flown by as it’s been a few weeks since my last article. However with that said we’re going to get back on the horse and continue the casual deck series started last time when I talked about Solar Flare. As many of you know I love playing Azorius based decks, and during the time that Return to Ravinca & Theros were in Standard that guild shined the brightest. It was a glorious time for us fans of the archetype. For those who did not play in this era you missed out! The often times featured no creatures, except your Mutavaults, and tokens created by Elspeth, Sun’s Champion. However there were some that did run the evasive (and powerful) Ætherling. Once this creature was cast if you untapped with it the victory was not far behind. The primary reason this deck played so few creatures was due to it running 7 board wipes in Planar Cleansing, and Supreme Verdict. These cards along with Elixir of Immortality would most assuredly keep the board clear from all but the fastest aggro decks. Some versions of this deck ran red for cards like Assemble the Legion, and some would run black (which I played to some success) to have a mix of cards ranging from Hero’s Downfall, Blood Baron of Vizkopa, and Thoughtseize (just to name a few). For casual purposes I chose one of the versions I played during it’s time in Standard, which is a take off of a version ran by Adrian Sullivan. The name of the game is inevitability. These three cards are the foundation of the deck allowing you to take complete control of the game through both card advantage as well as life total. Late in the game with an Elixir of Immortality in play if you cast Sphinx’s Revelation, and leave up 2 mana to counter a spell, you can then activate the Elixir after the Revelation resolves gaining 5 more life. Nine mana would then equal nine life, and 4 cards, on their end step. Not bad if I do say so myself. Sure this deck does well if it can get ahead as it stays ahead, but fast aggro decks, as well as decks that can combo, can still be a problem. Cards like Azorius Charm, Last Breath, Dissolve, and Celestial Flare (the precursor to Blessed Alliance) can help versus those decks. While these cards were great we had to find a way to deal with problem permanents, and that’s where Planar Cleansing came into play. Opponent’s had two choices: They could either be aggressive enough to avoid this card, or assume the first sweeper is Supreme Verdict playing conservative enough to allow you to stabilize to the mid to late game. A card that complicated that problem was Quicken. If Spreading Seas was a sorcery many of us Control players would have Quicken in our decks. This card allowed your next sorcery to be cast at instant speed. This provided you the rare opportunity to cast Supreme Verdict when being attacked by Mutavault. Using that to cast Planar Cleansing was also useful when Magic 2015 gave opponents Nissa, Worldwaker. What drew me to this version though was the use of three card: Darksteel Ingot, Blind Obedience, and Debtor’s Pulpit. 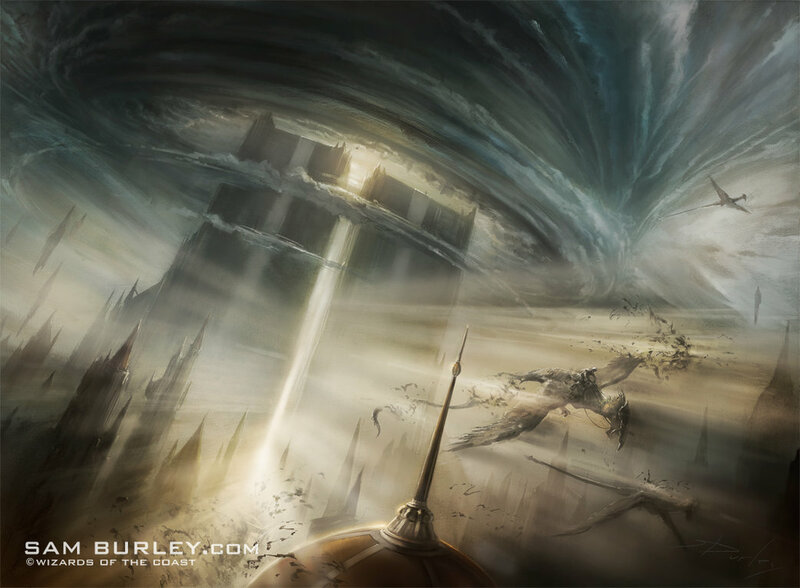 The Pulpit is useful for tapping down creatures that have protection from white, or are indestructible (such as the gods from Theros). The Ingot was great with Planar Cleansing as it is indestructible, and the obedience helped gain just a bit more life while keeping creatures with haste at bay. These cards along with the suite of the singleton cards across the 75 made for a potent control package that was a lot of fun to play, and had a high replay rate. If you are looking to play a Control deck from Standard’s past with your friends then you can’t go wrong with this deck here. The focus in this series is on having casual fun while reliving some of the great decks from Standard’s (recent) past, and I hope you have enjoyed these last few articles on it. The next time we talk about a casual deck it won’t have blue in it (I promise), and I’m sure many of you will enjoy that as well.